Michael Martin, the creator of Blood & Dust: The Life and Undeath of Judd Glenny, joins the Basement Crew via Skype to talk about the Kickstarter campaign for Glenny Family Values, the sequel to his Basement-loved vampire story! Blood & Dust stars an old vampire by the name of Judd Glenny, who just wants to live in the quiet solitude of the swamp with his family. But it's never that easy, is it? The first series saw the titular character going up against an ancient swamp monster in order to save his family. But nothing ever goes as planned. Now in the wake of that epic battle, we begin to learn more about Judd, as he tracks down his granddaughter Ruth, consumed by the vampiric bloodlust, before she hurts anyone and reveals their existence. 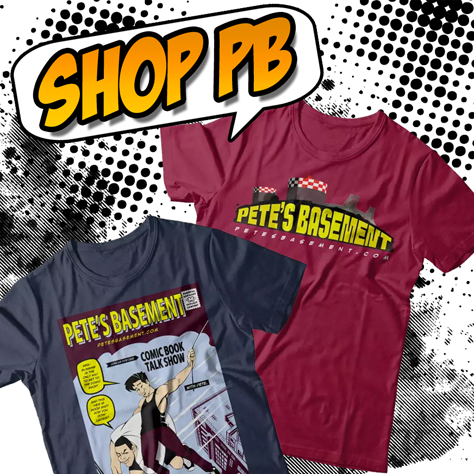 Michael Martin discusses the Kickstarter rewards and the future of the series in this interview taken from Pete's Basement Season 10, Episode 38.